Gary “Phoenix” Gilliam is owner of Artisan Tree Trimmers. Terry Powell is owner of Terry’s Tree Service, Inc. When you first moved into your home in Alameda County, you were happy about the luscious trees in the landscape design. You imagined these trees furnishing privacy from your neighbors, with their serene beauty bringing serenity. What you did not imagine was overgrown branches, and having diseased or trees with pest infestations. You may also not have understood the amount of tree pruning and tree maintenance needed. Perhaps you have decided to plant a garden, and now you need a tree removed. Who do you call in for tree pruning services or tree removal? And what questions would you ask when trying to find a tree service in Alameda County to meet your tree care needs? Read on for informational articles that will help you make a wise decision. 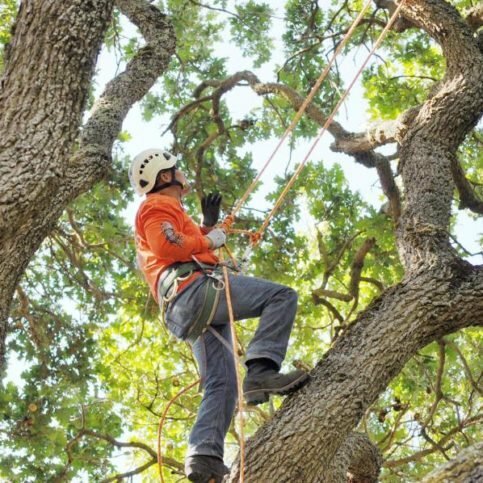 It is essential to ensure a tree service in Alameda County will have the proper licensing, liability insurance, and workers’ compensation for their employees. It is wise to verify their insurance information is also legitimate with their insurance agent yourself. If you chose an Alameda County tree care service in Oakland, Fremont, Hayward, Berkeley or your area, without looking into their liability insurance or workers’ compensation, you could risk financial danger. If there were an mishap that damaged your property or an injured a tree worker, you would likely be held liable. Arborists in Alameda County should be certified with the International Society of Arboriculture, or ISA. They must first qualify for the ISA certification exam by having at least 3 years of experience in tree work, or a degree in Arboriculture or Horticulture. In addition, you will want to call several past customers for references of local tree services. This is especially true if you are unable to use a Diamond Certified company for tree work. Does this seem like a lot of leg work to check out so many items before hiring a tree trimmer?Keep in mind that if you select a tree care company without doing the research, it may end up costing you more time and money later. Why Trust Diamond Certified Tree Service Companies Rated Highest in Quality? Terry Powell is a 39-year veteran of the tree service industry and owner of Terry’s Tree Service, Inc., a Diamond Certified company. He can be reached at (925) 201-6321 or by email. Q: What’s your favorite kind of tree? A: Oak. I’ve always loved the twisted, freeform shapes of their branches. I especially like the Oak trees here in the Valley, some of which are 400 years old. Q: Do you prefer fiction or nonfiction books? A: Nonfiction, because I mainly read books that pertain to my industry. A: The fiddle—Charlie Daniels is one of my favorite musicians. A: Antique glass bottles. I actually had one of the largest antique bottle collections in the Bay Area until the Loma Prieta earthquake wiped out most of them. A Terry’s Tree Service technician works to remove a tree from a customer’s property. Owner Gary Gilliam takes an artistic approach to reshaping clients’ trees. Its employees are capable, courteous and conscientious. An ArborWorks technician works to remove a tree from a customer’s property. So you know you need tree work accomplished, but do you know what type of tree company you want to utilize? There are many professional tree service companies out there to choose from, so you’ll have to do a little work first to narrow them down. Ask yourself what kind of business you want rendering your tree services. Do I want a tree service in Alameda County that is well qualified and experienced? Have I done my research on the types of tree services performed and what tree work entails? If I am unable to use a Diamond Certified tree service, am I willing to do research on my own that could be time consuming (but could save time and money in the long run)? Do I have time to check references, verify their licensing, ISA certifications, insurance, and workers’ compensation, as well as check for any complaints against the company? Do I have the right budget for securing tree care from an experienced and qualified professional tree service in Alameda County? If you are ready to seek out a tree company, you need to start your research on tree services in Alameda County. Whether you are in Union City, Pleasanton, Newark or another area, you can chose with confidence by using a Diamond Certified tree service. If you are unable to use one of the Diamond Certified tree removal companies, this is where it is most important to conduct your research. The types of tree care services offered in Alameda County may differ by company. They typically offer services such as insect spraying, fertilization, tree removal, stump grinding, cabling and bracing, pruning, cavity filling or other tree services. You will want narrow down the type of tree services you may need, and seek out companies that cater to your specific tree service needs. After your phone interviews of tree services in Alameda County, meet with the companies you are considering in person. Local tree care companies should have very specialized equipment to handle all your tree care needs. They should be able to provide services such as repairing tree damage from storms, as well as view restoration by eliminating tree overgrowth. Be sure to inform them exactly what you want accomplished from a tree service. Make sure you take particular notes of a certified arborist’s answers to your questions. This is especially true if you have more complex tree care needs. Let the tree service know whether you plan to use an arborist in the long term. As a potential customer for a tree service, your arborist or tree trimmers should get to know your individual tree care needs so they can recommend the best services. What types of tree care equipment do you use? How knowledgeable are your employees with working around electrical and other hazardous wiring? Is clean up after tree services included? Of what does your tree clean up consist and when will you complete the clean up work? Will I be supplying the water for you to provide tree services (a potential hidden cost if they do not provide this)? How long do you approximate my tree care services will last until completion? After you complete tree removal, will you also grind the stump? Is there an additional cost for stump grinding service? Do you provide tree services such as storm damage removal or wind damage repair to trees in Alameda County? After seeing the tree services I want executed, what precisely is included in this price estimate? Will you utilize a written contract for my tree care services? What are the terms of your written contract for tree services in Alameda County? It’s best to choose a Diamond Certified tree care service because all certified companies have passed an in-depth ratings process that most other companies can’t pass. If you want quality from a tree care service in Alameda County, you can have confidence choosing a Diamond Certified company. If you can’t find a Diamond Certified tree care service company within reach, you’ll have to do some research on your own. If you do call references on your own, specifically ask for a list of the company’s 10 most recent customers. This will help avert giving you references of only customers they know were satisfied. If you do, it’s wise to call some references provided by your tree care service. Keep in mind, though, that references provided to you by the tree care company are not equal in value to the large random sample of customers surveyed during the Diamond Certified ratings process. That’s because references given to customers from companies are cherry-picked instead of randomly selected from all their customers. What is your total satisfaction level of the service you received from this tree care company? What tree services were provided for you? What reasons were you satisfied or not satisfied with the tree care services you obtained? Do you think you would call this company again for your tree care in Alameda County? Were they friendly and professional throughout your interactions with this tree care company? Did they pressure you into any tree care services you did not want? Did they remove trash and debris before they left? Did they make you aware of special accommodations needed prior to completing their work, such as moving vehicles out of their way? Were they easy to work with while they performed tree care services at your home? Did your final price for tree services reflect the original estimate you were given? Why or why not? Were there any hidden costs that on your final invoice? Review your choice of Alameda County tree services after interviewing and narrowing down what companies you may choose. Now would also be a good time to verify a tree service’s information such as contractor licensing, insurance and liability. Also verify for yourself if they are an ISA certified arborist, and their state contractor’s license. Are they a Diamond Rated company, or do they have any complaints with the state licensing if they are not Diamond Certified? Before deciding on the best tree care service in Alameda County for you, it’s important to consider the following questions. Whether you are looking for tree trimming, tree cabling, tree removal, or tree maintenance, are you able to communicate your needs with the company? 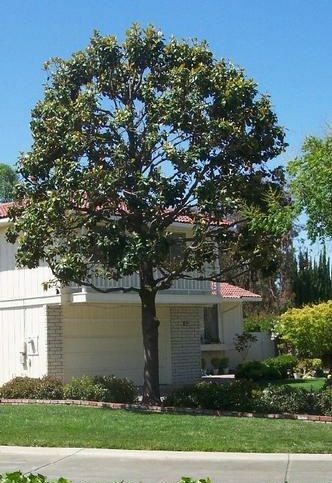 Is there any tree service in Alameda County pressuring you into tree services you do not need? 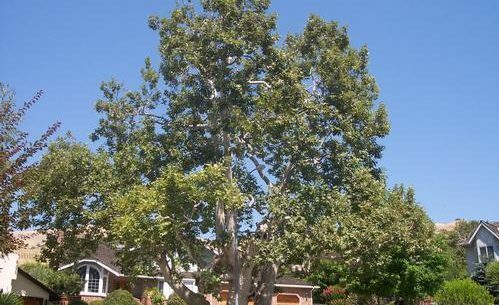 Is there a tree service in Alameda County that expressed they wish to take care of your tree needs long-term with your best interests in mind? Are you only seeking a fix to an isolated tree problem? Have you verified all insurance and liability (including specifically tree service liability) as well as licensing, training, ISA certification, and tree care service experience? Have you checked with the Contractor’s State Licensing Board of California (CSLB)? Are they a Diamond Certified tree service? If they are not Diamond Certified, do they have any complaints against them with the CSLB? If you are confident in the answers to these questions, proceed with making the decision to hire a professional tree service company. Congratulations on selecting the tree service in Alameda County that meets your needs. Know that in the long term, good tree care will be an investment in your Alameda County home. Make sure you have everything in writing with very detailed descriptions of the tree care work to be performed to help avoid misunderstandings. Have them give you a start date and estimated time for completion. Ask if tree services will be completed in several days or if it will be completed in one day? Have them notify you in advance of any additional costs that were unforeseen in your original estimate. You got a written estimate based on the tree services you asked to have completed. Of course, unforeseen problems may come up. Ask for any changes of cost in writing. Let them know that you must agree to the extra costs prior to completing tree services. Verification of their insurance and workers’ compensation is critical, do not just take their word. You could be held liable for any damages to your home, a neighbor’s home, or any injury to tree care workers. Ask if there is an extra charge for travel from a tree service to complete tree care in your area. Sign the contract (if applicable) and do a walk-through with the senior contractor overseeing your tree work before it begins. Understand that with tree care work, there may be extra noise and debris while the tree service completes your work. Make sure not to get very close while they are completing the work, as this could be a safety hazard. Ask your tree care professional what is a safe distance for you and your family to keep from the work being completed. Only talk to a tree care worker when they are safely on the ground. It is important to keep any pets out of the way of tree care work and to keep your windows and doors closed as much as possible. This will help avoid dust and debris from tree work getting inside your home. Also keep any pets out of harm’s way. How Can You Be a Good Alameda County Tree Service Customer? It’s the tree care company’s responsibility to put in quality work into tree services using the best possible techniques. You also play a big part in the success of your tree care service. Familiarizing yourself with local laws on tree service contractors will help you. Why would you want to be a good customer? Everyone appreciates a pleasant customer. Tree care professionals appreciate customers who are straightforward, honest and easy to work with. Your good customer behavior sets the tone from your end and creates an environment conducive to a good relationship. Things may very well go smoother and any problems may be more easily resolved. Be upfront with the tree care service you choose. Let them know what you want from your tree service, the long-term outcome you desire, and how they can fulfill your expectations. 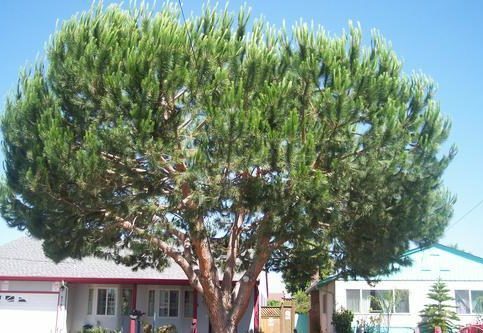 Before you hire a tree service in Alameda County, restate to the tree care representative your understanding of the agreement. Most problems with local professional tree services occur because of a breakdown in communication. By being clear about your expectations and theirs, you can avoid most conflicts. When working with your tree care professional, ask if you should call to check on the progress of your tree work. Be sure your tree service contractor has a phone number where they can always reach you while they’re performing tree work in Alameda County. When your contractor calls you, always return calls promptly to keep your tree services on schedule. Remember that being polite and keeping a friendly smile will go a long way! Pay for all tree care work promptly. Building a good rapport with your tree care service company will help aid in the process, since communication is crucial to having your specific tree care needs understood. This is especially true if you will need care over the life of your trees. Ideally you will want to use the same company for tree services once you find a good company. Whether you need tree pruning or tree fertilization, they should get to know your tree service needs specifically. This way the company can make recommendations for future tree care work to keep your home beautiful for years to come. Always make sure to check that all of the work your tree service agreed to in the contract was completed as agreed upon and completed to your satisfaction. If the tree service you hired agreed to do all clean up work after providing tree services, make sure your yard was left clean. At minimum it should include the tree care company’s name, address and telephone number, and their license number. An itemized list of all work performed, and will ideally include specific descriptions of the work done. An itemized cost with a break-down of both labor and materials cost. The invoice should also include the start date, projected completion date or possibly a guaranteed end date. There may be a clause for some delays that are excusable such as inclement weather. If they offer a satisfaction guarantee, has all of the work been completed to your 100% satisfaction? Some Alameda County tree services may provide you with a warranty on their tree work. If you received tree services, did they provide you with a written warranty? What does this written warranty guarantee? If the Alameda County tree service planted trees or performed tree pruning and maintenance, do they guarantee anything regarding to the health of your trees? Always make sure you understand the terms of any tree service warranty if one is provided. 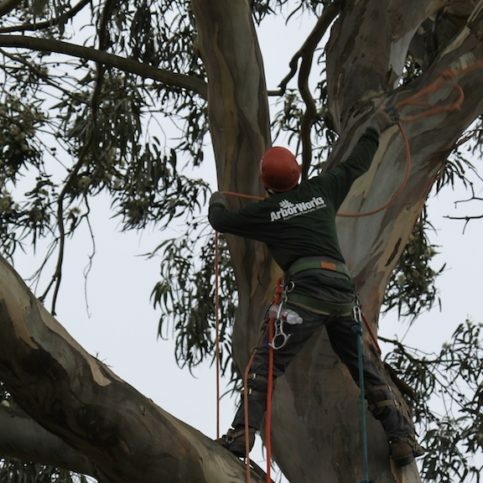 Chances are you are unsure what tree services you require of tree care companies in Alameda County. Helps to provide extra support to strengthen a tree that may be weak and have limbs that may break. Without correcting a specific tree weakness, you may risk injury or property damage. This is especially problematic when there are storms. A common tree issue which should be removed to increase tree health. This will also avoid property damage and injury, as dead branches are more susceptible to storm damage. You don’t want a dead tree limb or dead tree branch to fall on a car, break a window, or cause other structural damage. Often times tree disease is the result of a deficiency of nutrition in trees. Tree disease can range from leaf discoloration, to excess bark peeling, to insect infestations. If your tall tree leans at a noticeable angle, this could be a hazard if there are strong winds during storms. Leaning trees should be corrected by a professional tree service to avoid property damage or personal injuries. This can happen around the base of the tree, which is a sign of tree decay. There is rotting wood in roots of trees, which means your tree is dying. A well trained arborist can assess your tree and recommend a solution. Trees need proper light, pruning, and food to help it achieve a pleasing tree shape and to live longer. This includes Tree Fertilizers, which will increase the overall health and nutrition of your trees. There are many organic and conventional fertilizers for trees that your Alameda County Tree Service can provide. This can mean your tree is beginning to uproot from the ground. This could be dangerous if a strong storm came through to further uproot your tree. Many of us have seen photos of a tree that crashed on a vehicle or a tree that fell on a house. Solar Enhancement completed by professional arborists in Alameda County will ensure there is sufficient light for solar panels to function adequately. If your home has solar panels in Oakland, you will see improved solar functionality by reducing the amount of shade from trees. Perhaps you wish to plant decorative trees, fruit trees or citrus trees. Either way, consulting a professional tree service will assist you with tree planting in Alameda County. This can include tree thinning, which creates beautiful filtered views by removing dead wood on trees. They may also perform “windowing” which creates additional open space, similar to a window’s function in your home. Your Alameda County Tree Care Professional may use a number of different products and tools to care for your trees. Here are a few things to expect they may use when performing tree care services. These should meet all ANSI safety standards, and will assist a professional arborist with safely climbing trees. Fertilizer and other products from this brand may be used in caring for your trees. STIHL professional chainsaws can be used by a Alameda County Tree Service to trim trees, clear utility line areas, or for other tree shaping and tree pruning. Not to be confused with a climbing rope, this assists tree stability by connecting them to stationary objects. This is a very specialized tree service skill, which requires the use of eye lags, extra strength cable, and bracing equipment such as a course threaded rod. These should be used when a tree rigging line is put into place. They will help avoid damage to bark while tree work is being performed. Following are some common terms used in the tree service industry. This will help you when talking to a local arborist or tree service who is using industry terms you may not know. American National Standards Institute, the national organization that sets standards for tree trimmers, tree services and arborists. American National Standards Institute safety standard for tree care. A chemical that is applied to cut back water loss through stems and leaves on trees. The cultivation and management of trees which focuses on the health and safety of trees. Refilling a hole around the roots with dirt, often happens during transplanting. The protective outer layer on trunks, branches and twigs. Creating extra support for a tree with structural defects by limiting movement of tree branches using steel cables, wire rods, and clamps. The division of a stem, or a secondary stem, attached to a primary part of the tree. The use of a ¼ inc threaded steel, used to support cracked, splitting, or debilitated joints of a tree. A large root that forms at ground level of a tree. A method of structural support for weak tree joints. An extra strength cable is used to support the tree. There is a hole drilled into each main branch, into which a two eye-bolts are used to help keep a tree from splitting apart. Often preferable to bracing or used in conjunction with tree bracing. The top or crown of a tree, which is formed by all the branches and leaves together. Used to assist in creating a symmetrical tree by taking away lower lateral limbs. Removing selected tree branches in order to facilitate sunlight penetration and reducing weight of strained branches. Removal of dying, diseased, or already dead branches. Trees or shrubs that shed their leaves seasonally. A second cut in a three-cut procedure of take away a branch. Screws thread eye bolts used in cabling and bracing. A tree or other plant’s ability to tolerate cold or warm temperatures. A root that extends off of the main root. Having the legal responsibility for financial costs related with cost to repair casualty. A tree that has reached about 3/4 of its full growth. Created for destroying or repelling a pest. Synthetic or man-made chemicals. Can be damaging to the soil. Less refined, naturally occurring products that often contain natural resistance to insects and other pests. Generally less harmful to people and the environment. A tree maintenance system that aims to be preventative or proactive in tree care. Includes fertilization, protection from tree diseases or tree infestation troubles, and ensuring satisfactory water and soil conditions. A power tool with high-speed disk that rotates in order to chip a stump into smaller pieces for removal. Removing certain branches, roots, or buds of a tree. Used to maintain or improve health of trees, improving flower or fruit output, and helping them become more aesthetically pleasing. Q: Why Choose a Diamond Certified tree service? Q: Why should I commit extra effort into tree care? A: Trees have long been valued for their aesthetically pleasing qualities, which in turn can increase the value of your home. Trees can increase your home’s worth by up to 25%, depending on placement, health, size of trees, and variety. You should protect your trees with proper tree care services. Q: Do I really need to water trees? A: For the most part, trees need to be watered more often when they are young and growing. However, this changes if you are having drought conditions in your area. With normal rainfall levels, the main exception to this would be trees that were not suitable for your local environment. Q: What does pruning do for trees? A: It helps your trees stay healthier, especially as young trees grow and mature. It promotes good branch structure, that could otherwise lead to an early death of your tree. Q: Do arborists prune trees to specific standards? A: All arborists should follow the “ANSI A300 – part 1 pruning” standard. Ask your tree service if they always use this standard for tree pruning. Q: What is pruning paint for trees, and is it still needed? A: This is an out-dated procedure that used to be suggested for sealing cuts on a freshly pruned tree. Research by the US Forest Service has debunked the need for this “wound dressing”, and showed it actually was contrary to the best interests of the trees. You can even harm your trees with too much moisture. Q: What is the best time of year to prune trees? A: Most arborists would agree that you can prune most trees at any time it is needed. Although some trees are more likely to need pruning at the turn of different seasons such as summer of fall. Q: Do I really need to fertilize my trees? A: Most trees need fertilization at some point in their lives. In the forest, there are natural circumstances such as animal waste, leaves and other plant material falling to the forest floor, and other decomposition that recycles itself. Mulching is one way to help fertilize a tree, but a plant health care program from a certified arborist is best. A certified arborist can make the best determinations based on your local environment and the ground where your trees grow. This will help your trees have the best health.